In the time when weather is unpredictable like this, sunning during the day and raining in the evening, we are likely to get sick more easily, therefore it is important to look after your health. There are many ways to boost your immune system such as exercise regularly, getting enough sleep and eat the food that nourishes your body. 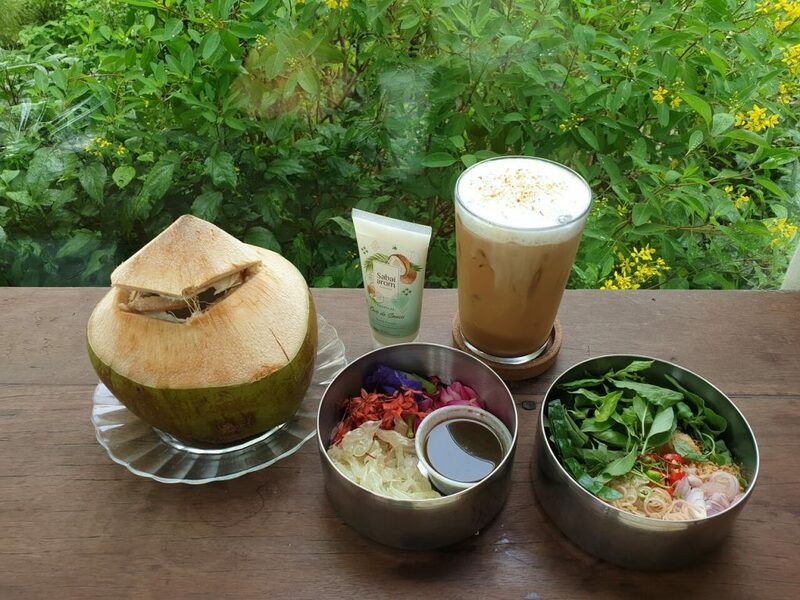 In this blog, I will recommend you 4 cafes and health food restaurants in Bangkok so that your body will stay healthy and nourished. Acai berry is a superfood that is full of good nutrients and antioxidant. It helps to increase the immune system and digestive system to work better as well as makes the skin glow and has anti-aging property. 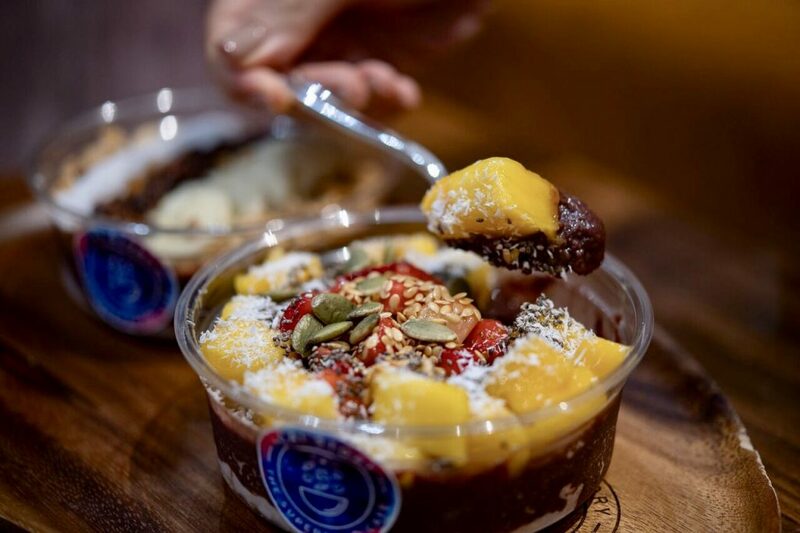 At Acai Story, the restaurant uses the real Acai berries, not the powder to make acai bowl with added toppings and various types of grains. All of their menus have no milk, sugar, syrup and chemical which is perfect for a health lover who wants to find something light to eat during the day. Acai bowl at ACAI story is also a good substitute for when you have ice-cream craving. 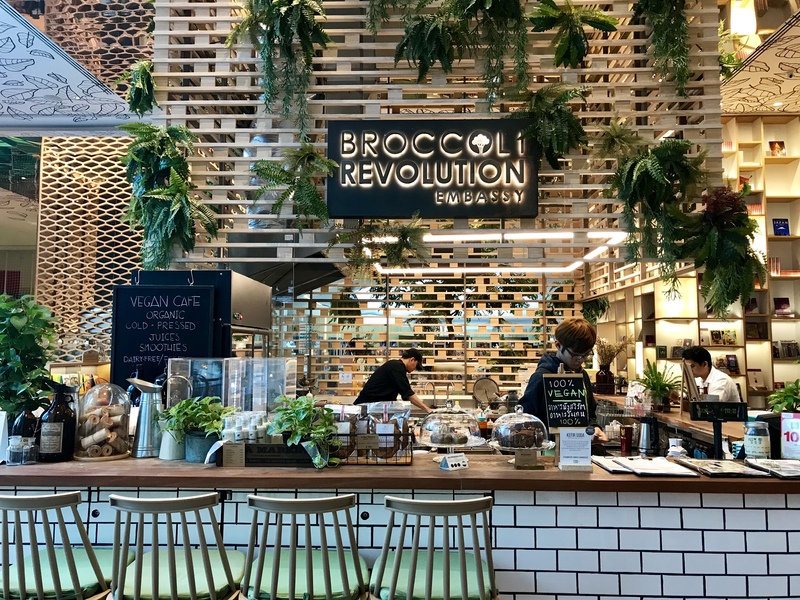 This restaurant is 100% vegan that wants to have a small revolution for people to eat vegetables and fruits instead of animal products. It uses organic ingredients that are free from chemical, MSG and animal products. 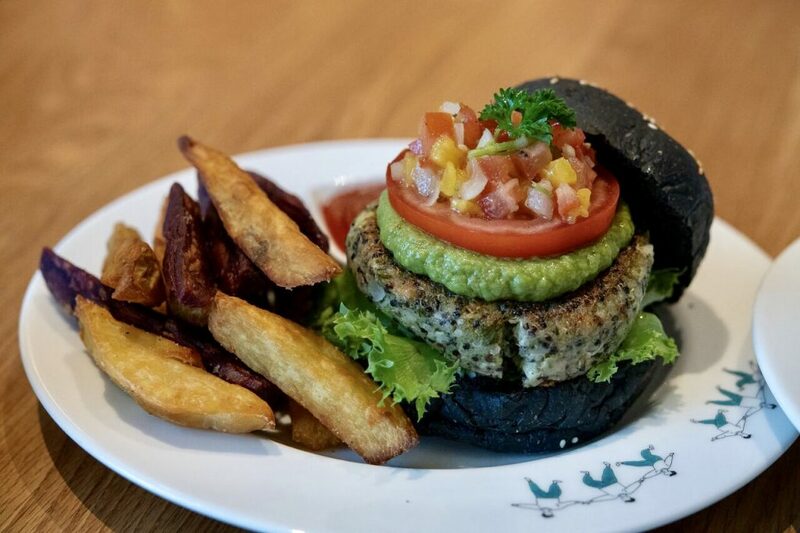 The signature menu at Brocolli Revolution is Quinoa Charcoal Burger where the burger patties are made from broccoli minced with quinoa and made into a patty with added avocado and mango salsa on top. Their French Fries are made from sweet potatoes and purple potatoes which makes this dish not only mouth-wateringly delicious but also very good for health. The Salad shop that comes with the concept of “Healthy Fast Food”. 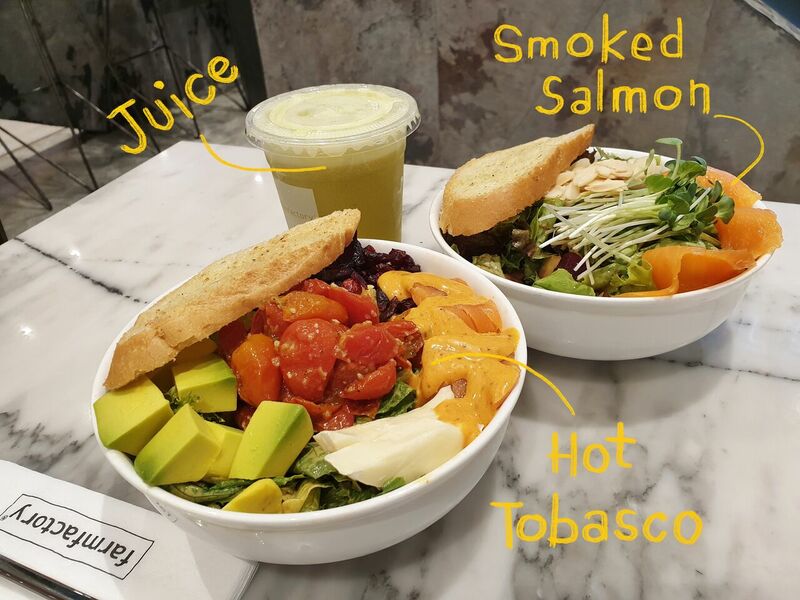 There’re two types of the menu which are various types of Salad and cold press juice. A highlight of the shop is the usage of fresh and clean ingredients as well as the open kitchen prep area. Customers can enjoy watching how the food is prepared to ensure the high quality of the food. There are various types of salad toppings and dressings to choose from, and for those who like spicy, the recommend dressing is “hot tobacco” which the spiciness and tanginess of tobacco sauce will definitely satisfy your palette. This beautiful glass house organic café is surrounded by luscious trees and flowers right in the middle of Thonglor. The café serves simple healthy food and emphasizes on balance diet. The food is freshly made daily with organic ingredients from a carefully selected group of farmers. The café just changed their food packaging from plastic to Pinto lunch box to minimize the waste. Apart from serving food, Patom Organic Living also hold Organic’s Farmers market every second Saturdays of the month, encouraging farmers in the group to sell their fresh produce at the reasonable price without going through a middleman. This is truly the way of organic living. Apart from eating food that nourishing your body, another thing that can keep you out from catching a cold in the weather like this is to wash your hand often. Washing hands is a way to prevent germs to enter your body, but if you do it too often, your hands are prone to lose moisture and become dry. 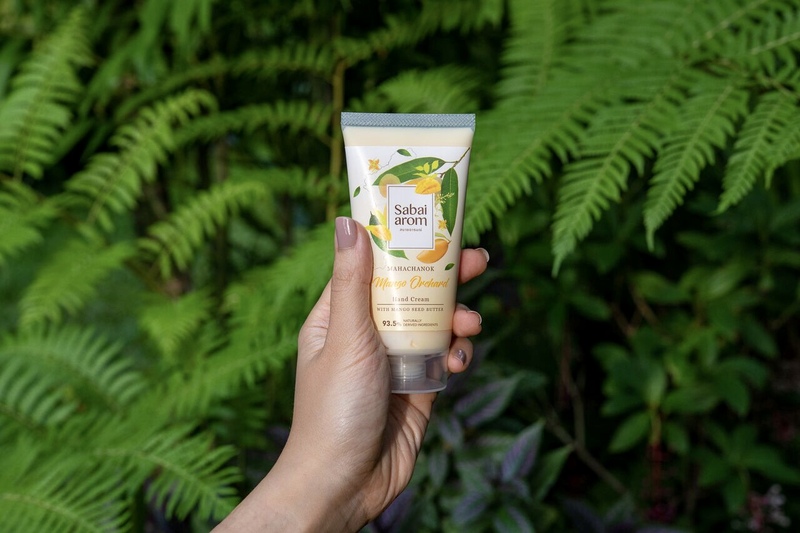 After you wash your hand, you should apply lotion which comprises of natural ingredients with no added chemical in which Sabai Arom Hand Cream is the answer. There are varieties of hand cream with a different smell to choose from. Apart from keeping your body healthy, do not forget to take care of your skin as well.